Seoul on Wednesday confirmed two deaths from Middle East respiratory syndrome, while five more have been added to the list of infected patients in the country. 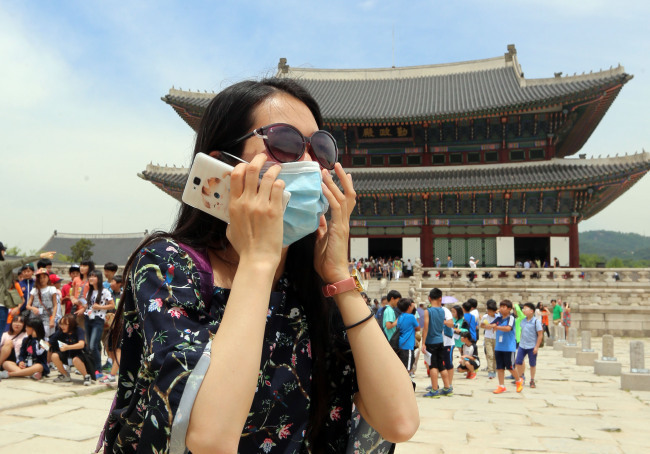 As of Wednesday morning, the number of confirmed cases in Korea marked 30, surpassing Jordan as the country with the third most MERS cases in the world. Following the news, an elementary school near the hospital where one of the deceased patients had stayed announced that it is closing temporarily from Tuesday to Friday. According to the Gyeonggi Provincial Office of Education, 20 other schools in the region are currently considering closing down to prevent possible MERS infection among students. In spite of the deaths and strong public demand, the Health Ministry said it has no intention of sharing the names of medical hospitals where confirmed MERS patients either stayed or visited. Instead, the government is currently establishing a database of all suspected and confirmed patients that will be shared among all hospitals and health care workers in the country. “I think many concerns (stemming from not knowing the names of the hospitals) are a bit groundless,” Health Minister Moon Hyung-pyo told reporters on Tuesday. Hong Kong health officials have also repeatedly asked Korean authorities to release a list of facilities where MERS patients are currently being treated. The requests came shortly after Seoul’s recent failure to prevent the 10th MERS patient from going overseas to China via Hong Kong on May 26. This left 165 passengers and crew members on board the same plane at potential risk of infection. Seoul on Tuesday confirmed that it indeed has received such requests from its Hong Kong counterpart, but plans not to share the information. “We have decided that it is not necessary,” a Seoul official said. In response, Hong Kong authorities announced that Korean travelers who arrive in Hong Kong with any MERS-like symptoms, even if it only involves a fever, would be treated as suspicious cases and tested for MERS. Among the two deceased patients, one of them died of respiratory failure Monday afternoon. The 57-year-old, who had been suffering from a number of chronic conditions including asthma, interacted with the first MERS patient last month at the same medical facility where more than 15 have been infected. She was hospitalized on May 25 after experiencing shortness of breath. She died six days later and was diagnosed with MERS posthumously. The other was a 71-year-old who became the sixth confirmed patient on May 28. He had one of his kidneys removed after suffering cancer in the past, as well as a chronic lung disease, prior to being diagnosed with MERS. Authorities said those who are aged 50 or older, and those with chronic diseases, especially kidney diseases, lung diseases and diabetes, are the most vulnerable to MERS. The Health Ministry also plans to research and monitor all pneumonia patients in the country, especially those who do not react to antibiotics well, as their health can seriously deteriorate should they get infected by MERS. Among the six new confirmed patients, four are believed to have been infected by the first patient from May 15 to 17, at the same medical facility where 15 individuals were previously infected by the 68-year-old. The remaining two are believed to have been infected by the 16th confirmed patient at a different clinic, while sharing a hospital room with him from May 28 to 30. Both patients are in their 70s and had been treated for diseases prior to their MERS diagnoses ― including cancer and lung diseases. The 16th patient shared the same room with three other patients, authorities said. Along with some 750 people nationwide, the remaining three individuals have been isolated for possible infection. So far, the Health Ministry has tested about 100 people for possible MERS infection. Among them, 30 have been confirmed to have MERS. As of Tuesday, three confirmed patients are in unstable condition. One of them is a 76-year-old male, while the other two are a 35-year-old male and a 40-year-old male, respectively. All of them are believe to be have been infected by the first patient from May 15 to 17. Meanwhile, two of the confirmed patients are almost fully recovered, according to the Health Ministry.